Home Unlabelled 5 Steps to A Great Business Website - Introducing www.RenelynThomas.com ! 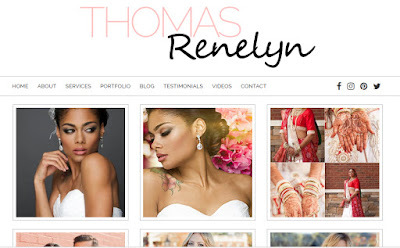 5 Steps to A Great Business Website - Introducing www.RenelynThomas.com ! Happy Tuesday! I'm so excited to share with you my brand new Makeup Artist Website www.RenelynThomas.com. After I transitioned into doing makeup full time last year, I knew it was time for an upgrade. 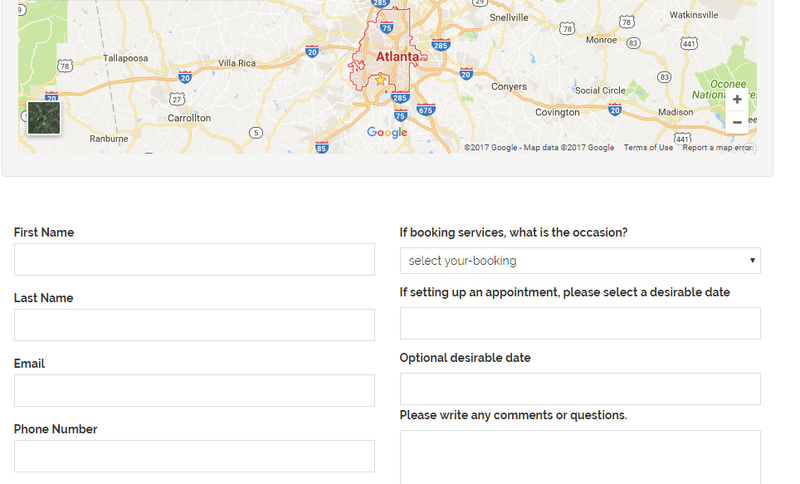 I've put in a lot of work into this site and for all of my fellow business owners out there, I thought i'd take it a step further. Here are 5 Steps to a Great Business Website. Check it out! 1) Pick a NAME that represents your brand and does not limit your audience. My old Makeup Artist website was www.urbanpretty.com. When I built it ten years ago, I loved how funky and unique it sounded. But now I realize it's a little too specific to apply to a larger audience. You can't go wrong with your name. Some other beautiful combos are using your middle name, just your first initial, the combos are endless! 2) I would empower yourself to be a able to learn how to Update and Revise your website yourself. Over time, you'll need to change the text, add or delete pics. My Ex designed my old site and when we broke up I had no idea how to fix it as he created it strictly from code. Now I use a wordpress format and can edit it myself. Talk about girlpower! To design the site, however, I used a developed called WebFramez who did development work for my husband's app. They're awesome (not sponsored). 3) Put your Professional Pictures on your website and put your selfies on your Instagram and Social Media Profiles. Your website should always look professional and the better the quality of the picture, the more professional you will appear. If you're looking for stock photos, I use the subscription service www.shop.stockphotosecrets.com for awesome high quality pics without copyright infringement. 4) White Space is your friend. Clean is always good. Don't be afraid to have a clean, white background. It's easier to read and doesn't distract from your story. 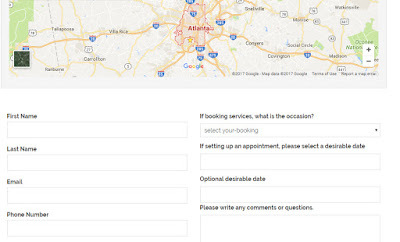 5) Put detail into your Contact Form. I receive a lot of gig requests from my Contact Form. To save time, I started putting in details like: Date requested, back up date, type of service, etc. Now I can more quickly respond to a client's request. I hope these details were helpful! 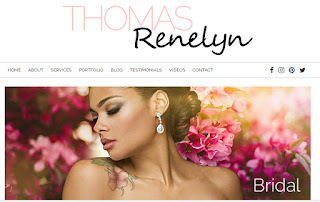 Don't forget to check out my new website www.RenelynThomas.com to check out the latest and greatest from my professional Makeup Artist Career. I hope you find this post helpful!